For as long as typing has been around, there has yet to be a perfected method of teaching the skill. There are a bunch of different approaches, but none seem to bee 100% accepted. However, while we were at ISTE, we came across an ingenious approach to teaching the skill. 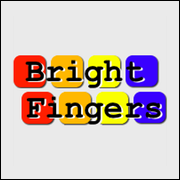 BrightFingers eliminates the need to hunt for the right key. It lights up the way, showing you clearly which key to press through a lighting keyboard and great big colorful circles on your screen. 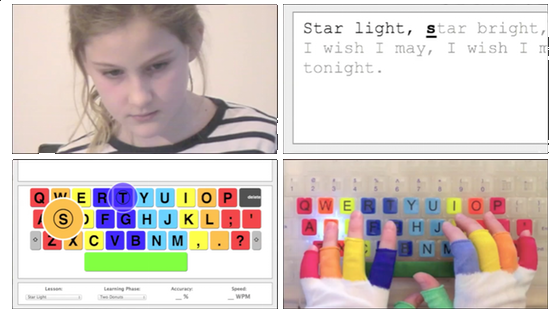 Plus, BrightFingers also comes with wicked cool gloves — the colored fingers show you which to use for each key. The teachers and students have spoken. Bright Fingers just successfully completed a Kickstarter Campaign, raising a whopping $14,190 to bring their teaching aid to market.